I got a note today from John Grado. He appreciated my review of the $12,000.00 Grado Labs Epoch and is excited to ship me a sample of a Grado cartridge that he feels strongly about. it is the Prestige Black2 cartridge. John's proud of this one, and I can understand why. When price is no object there are no barriers as with the Grado Labs Epoch, but with the Prestige Black2, the Grado Gang must have had to use every trick to get the price point they wanted. I like that they are dedicated to pushing analog to new levels for all vinyl consumers. Will review this baby when it arrives. Oh, the price? $75.00 list. fortherecord, mike catucci, Shawn and 14 others like this. Steve, any idea which protractor they used to align the cartridge? I know this isn’t the correct thread for this but I’ve been trying to align my cartridges for years to no avail. Steve, which protractor did you use to align your cartridge? I know this isn’t the correct thread for this but I’ve been trying to align my cartridges for years to no avail. Looking forward to your review! I'm looking for a modest cart upgrade for my SL-1200MK3D (work system) so I'm curious. Thanks! My favorite readily available and inexpensive alignment protractor is the Mobile Fidelity GeoDisc. It is fast and easy. But, it is only as accurate as you can precisely line-up the line across it to the center of the tonearm's pivot point. This is sometimes easy, and sometimes impossible. So then, I have very simple, generic 2-point alignment protractor on graph paper that is SUPER accurate. The one protractor that I think is the easiest, fastest and most accurate is the Dennison alignment protractor. It is difficult to find and somewhat expensive, though. All of these follow the Baerwald standard. Of course, there are people who prefer other standards, such as Stevenson or Loefgren, but I have always used Baerwald. Scott in DC, SandAndGlass and Dennis0675 like this. Most of the reviews of the Prestige2 line I've seen have been very positive. I remain a Grado skeptic for a number of reasons. It would be interesting to see how this model, (or any of the other Prestige2 models) perform on a very average un-damped tonearm, particularly with difficult to track records. Can't remember from your other thread, but did you ever get around to trying an arc protractor? I tried the Technics Baerwald arc protractor and I was a bit confused. I tried to get the cartridge aligned to the outer grid and then I moved it to the inner grid, it wasn’t aligned so I tried to align it there and move it back to the inner grid etc. I have no idea if I was doing it right. I don't want to hijack this thread too much, you're better off starting another thread with some pics or preferably a video of what you are doing so you can get some guidance on that. I can’t wait to see what you think. There is something right about the Grado sound. Entry level gear is very important because it’s the gateway that gets people interested in attaining better sound. Without engaging entry level gear no one will be drawn into this hobby. Sane people don’t start out dropping $1,000 on a cartridge. HiFi Guy, Jack Keck, recstar24 and 4 others like this. 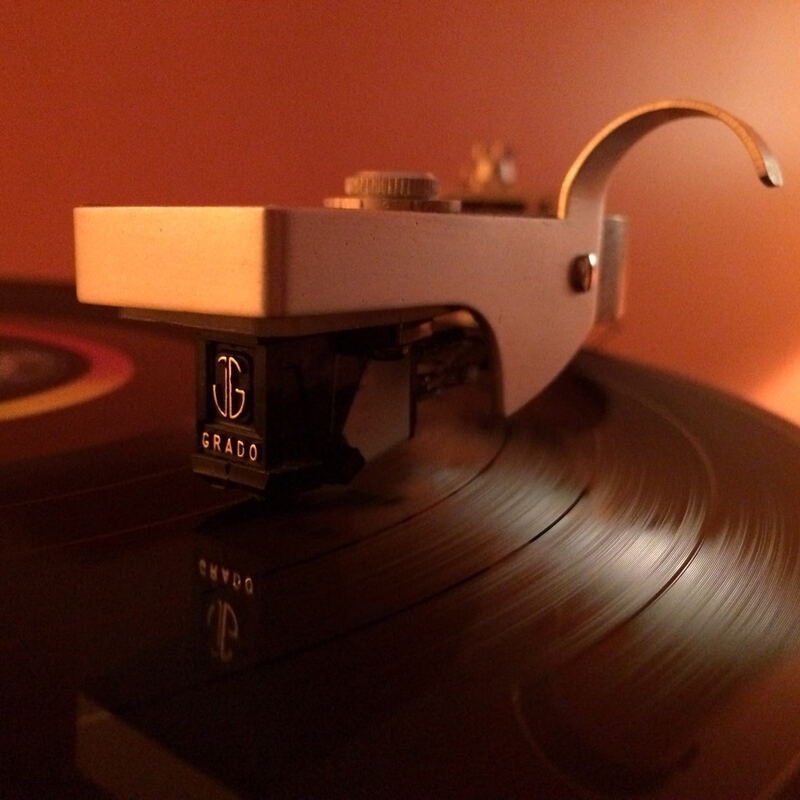 I have already heard really great reviews and commentary elsewhere on the Grado Prestige Black 2 cartridge. Steve, I eagerly look forward to what you have to say about the new Grado and your thoughts. Rhapsody In Red, H8SLKC and patient_ot like this. Really? Does it get the midrange right? Everything else is just gravy. SandAndGlass, H8SLKC and Fiddlefye like this. Yes, and that is why I want your thoughts. We value the midrange right, because for our ears it is critical. My old Grado has nice midrange but very soft sounding treble, and clean bass. I would like the Grado midrange with sweeter , somewhat more forward treble but not mess with what Grado does right. Did they actually decide to put some shielding in these carts to get rid of the dreaded hum when used on tables with unshiedled motors? SKATTERBRANE, 500Homeruns, JohnO and 1 other person like this. Looking forward to Steve's impressions. The cartridge has been getting very good reviews here and on other forums. From the pics users have posted online it appears the carts are unshielded and have unpotted coils. Grado has always been a value oriented line, with a terrific inexpensive cartridge in there. My first cartridge was that Grado for 1973. It might have retailed for $18. SandAndGlass and BrentB like this. Eigenvector, Robert C and H8SLKC like this. James Bennett, HiFi Guy, SandAndGlass and 10 others like this. I love midrange and Grados are my favorite cartridges. Second favorite are Stanton/Pickering. FWIW. HiFi Guy, SandAndGlass, Soundgarden and 2 others like this. I'm curious if there has been any change to the cantilever. The Grado Black was my favorite sounding budget cart, but I had problems with weakness in the cantilever. Looking forward to hearing this review. Thanks. My first also, also in 1973. although mine was closer to the top of the line, $50 or so. I've always wanted to try a Grado on my VPI, but the reports of possible hum scared me off. Steve, what turntable are you planning to mount this on? I have used and loved several different Grado carts over the last 22 years. All were from the lower end of the price range. They are not a "giant killer", but for the nominal investment they come close. I am using an old Grado now on my den system that is mounted on my Project/One DR-770. I got it in a used lot I bought years ago. It actually has a blue body with no model numbers. There is a large G on the top front above the GRADO name. I am using a "green" replacement stylus on it. Sounds great especially with the baroque stuff. I also have put away a NOS ZF3E+ and a Prestige Green. I am very interested in hearing about the review of the mentioned model Steve will be trying out. BTW does anyone know what model my blue bodied cart might be? It is kind of interesting because the other Grados always seem to have the black body. The stylus cross referece I found implies that is is a G+ from 1978 and would take the silver replacement stylus. Maybe I will have to invest in one? Contact Marc Morin (marcmorin on audiokarma) - he'll probably be able to ID it, but you might have to measure the coils for a positive ID. Marc probably knows more about Grado cartridge model history than John Grado himself. I've seen tan Grado bodies from the '70s, but never a blue one. Maybe it is a special export model? Some of those are kinda unique. There is a date code stamped on the body somewhere, either on top or by the pins, that should help you pinpoint the vintage. The G+ is a very good older Grado. I'd wouldn't hesitate to spend $150 to put an 8MZ stylus on it. I think I heard a G+ before and it had a wonderfully smokey, late night, intimate presentation that was quite intoxicating. Those of us in the know really love late '70s-early '80s Grados for their unique soundstage, which is extremely deeeep, layered and holographic. My entry-level '78 FC+ with conical tip has that presentation, as do the Joseph Grado Signature models from the early-mid '80s that I have (8M, 8MR, and MCZ). A few folks on audiokarma have gotten the new Black2, and are reporting that the new models have the old Grado soundstage presentation. One compared the Black2 favorably to the c.1984 Signature 8MR, which is possibly my favorite Grado. Early reports also say that the new Grados have a more open top-end than the previous series, which many folks have desired. If these user review are accurate, it's no wonder that John Grado is excited about the new models! SpeedMorris, bluemooze, McLover and 3 others like this.